United States President Donald Trump on Monday imposed 10 per cent tariffs on Chinese products amounting to USD 200 billion, in a move that would further aggravate the trade conflict between the world's two largest economies. The tariffs are set to come into effect from September 24 with the 10 per cent level, which will be increased to 25 per cent from next year. 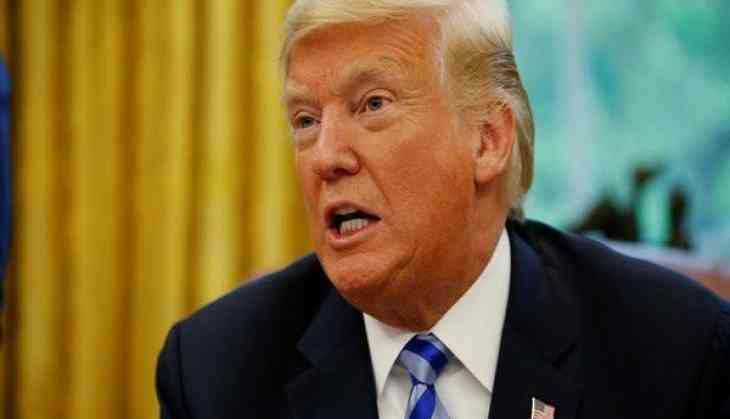 In a strongly-worded statement released by the White House, the US president warned that if China retaliated by imposing its own set of tariffs on American goods, then Washington will slap another round of tariffs on approximately USD 267 billion of Chinese goods. "We are taking this action today as a result of the Section 301 process that the United States Trade Representative (USTR) has been leading for more than 12 months. After a thorough study, the USTR concluded that China is engaged in numerous unfair policies and practices relating to United States technology and intellectual property - such as forcing United States companies to transfer technology to Chinese counterparts. These practices plainly constitute a grave threat to the long-term health and prosperity of the United States economy," Trump elucidated. The US president asserted that his administration had urged "China to change its unfair practices, and give fair and reciprocal treatment to American companies," but did not take any steps. Trump continued, "As President, it is my duty to protect the interests of working men and women, farmers, ranchers, businesses, and our country itself. My administration will not remain idle when those interests are under attack." Urging China to take swift action to end their unfair trade practices, Trump hoped that the trade war would end between Washington and Beijing. The latest announcement comes when officials from two countries have been engaging in huge efforts to stop the escalating trade conflict and sit for talks on resolving the matter. The US and China have been engaging in a trade war for the past few months, slapping 25 per cent tariffs on USD 50 billion on each other's goods, leading to the straining of ties between the two countries. Earlier on Monday, the Chinese Foreign Ministry had reportedly said that if Washington imposed the new round of tariffs, then it will hit back by slapping retaliatory tariffs on certain American goods. The Trump administration has been imposing tariffs on various countries, including China, claiming that the US was "being treated unfairly in trade" and accusing Beijing of "stealing intellectual property". On the other hand, China chided the US for indulging in "trade bullying."